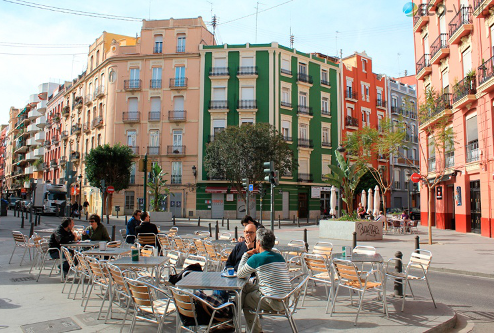 Valencia rents at the moment are very affordable, to put it mildly. For someone living in a 27m2 studio in Helsinki, getting twice the space for half the price is pure luxury! I was looking for a place that’s close to a park, in a safe neighborhood and in a somewhat good condition. Around 400 euros for furnished 80m2 within the city is still possible, but it’s good to remember that if something seems too good to be true – it probably is. El Carmen / Ciutat Vella and areas next to the Turia park are the most expensive, Benimaclet has a lot of students and El Cabanyal is cheap, beautiful and close to the beach but still a little dodgy in some parts. 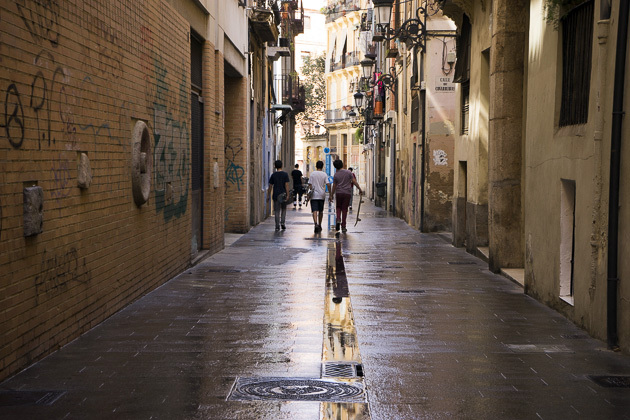 Electricity is very expensive in Spain – especially compared to the general cost of living – so on top the rent you are spending a fair amount of money on heating in the winter and on air conditioning in the summer. I highly recommend making sure that your apartment has air conditioning, because the summer here not only gets hot, but also humid. In the winter you will want some kind of heating device, but it doesn’t need to be fixed. If you rent through an intermediary or an agency, like me, you will have to pay their fee which is usually one month’s rent. The contract, according to the current law, is minimum 6 months and after that the tenant can terminate the lease in one month’s notice. Some owners still require a full year, but if you want to argue, it’s not the law. Sometimes you are asked for a work contract or even references, but even without these you’ll have plenty of options, and dogs don’t seem to be a problem. Just pick up the phone and ask – people are usually friendly answering your questions even if your Spanish is poor. They might, however, be interested in how you will be able to pay your rent. If you’re feeling adventurous, in addition to browsing ads online, take a stroll in the neighborhood you like, and look for paper ads on walls and lamp posts. All in all, due to the crisis, there are a lot of available apartments at the moment, so if you have some time and patience, you can find a very good deal. For me it took two weeks and 6 visits.